The Flex Light Screw or Spring Clamp light from the House Top Light is always ready for use, where their light is needed, whether at your desk or on the worktop in the kitchen. With a few simple steps it can be dismounted and immediately reapply again. In Flex Light Lamp Screw this works on a Schraubklemmbefestigung. The Flex Light Spring Clamp light, however, is equipped with a spring clamp. Choose between a variety of different options and design according to your personal needs and requirements. Their light Functional and visual concerns are given equal weight taken into account. 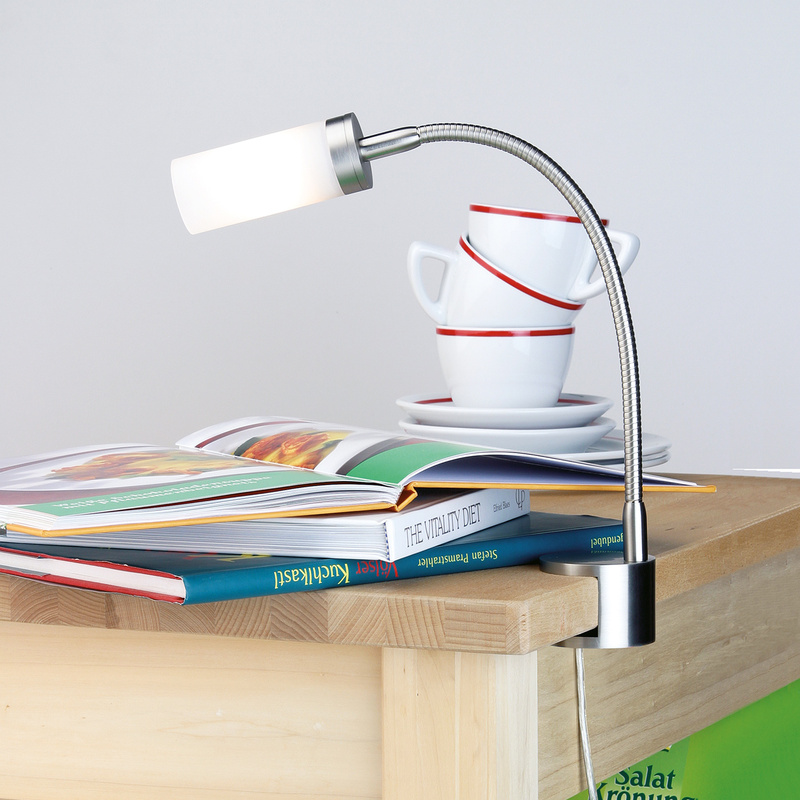 There are three verschiednen arm lengths and a variety of different lamp heads available. For the lamp head Pisa is available on request, a high-performance aluminum reflector available, which can then be easily inserted into the cylindrical glass body.